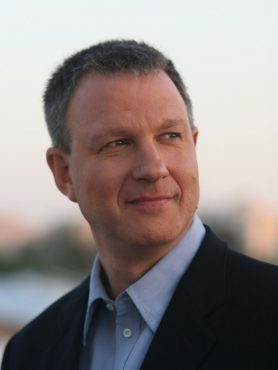 Erel N. Margalit, PhD founded JVP over 24 years ago, and is one of the chief architects of the startup nation, bringing innovation and entrepreneurial leadership to the country’s most pressing political, economic, and social challenges. Chosen for the Forbes Midas list and by Israel’s prestigious business paper as the first venture capitalist with the golden touch, Erel has led numerous global exits as managing partner of JVP, including implementing the first state sponsored incubator into the famed JVP family of funds. JVP continues to be repeatedly ranked one of the top six venture capital firms in the world in terms of consistent fund returns. In addition to helping orchestrate the $4.8 billion sale of Chromatis to Lucent Technologies in 2000, Erel successfully led exists such as Netro (IPO, JVP subsequently sold its shares at a $5.5 billion company valuation), Precise (IPO and subsequently acquired by Veritas), Qlik Technologies (NASDAQ: QLIK) which reached close to $3 billion market cap., Scorpio (acquired by US Robotics), Fundtech, ViryaNet, Jacada, Cogent and Allot among others, as well as serving as Chairman of CyberArk Software (NASDAQ: CYBR, $1.5 billion market cap) for numerous years. During his tenure as Member of the Israeli Knesset, between the years 2013 – 2017, Erel led the Knesset’s Cybersecurity Taskforce and the Taskforce developing the North and South of Israel, implementing various economic initiatives around the country and region. Erel was a member of the prestigious national finance committee. South; and in the process of establishing the Foodtech Quarter in north and the Digital Health Quarter in Haifa. On the social front, Erel and his wife Debbie created JVP Bakehila in 2002, as a means of reducing the socio-economic gap affecting disadvantaged children in Jerusalem. Bakehila runs educational programs with the goal of raising the students’ academic achievements, and promoting the children’s personal and interpersonal growth. Thousands of students from Jerusalem have attended the program during its first eight years. Erel holds a Doctor of Philosophy from Columbia University for his thesis “Entrepreneurs of History: The Outstanding Leader in the Historical Enterprise”. He lives in Jerusalem with his wife Debbie and their three daughters.